Concept Art is a foundational part of the industry, but keep in mind that Game Art has a lot more than just putting pencil to paper (or tablet pen to a tablet). Digital painting techniques can be applied to sculpting software like Zbrush, 3D-Coat, and Mudbox.There's also a huge industry push for more stylized video games, which means most of the textures are hand-made and hand-painted. 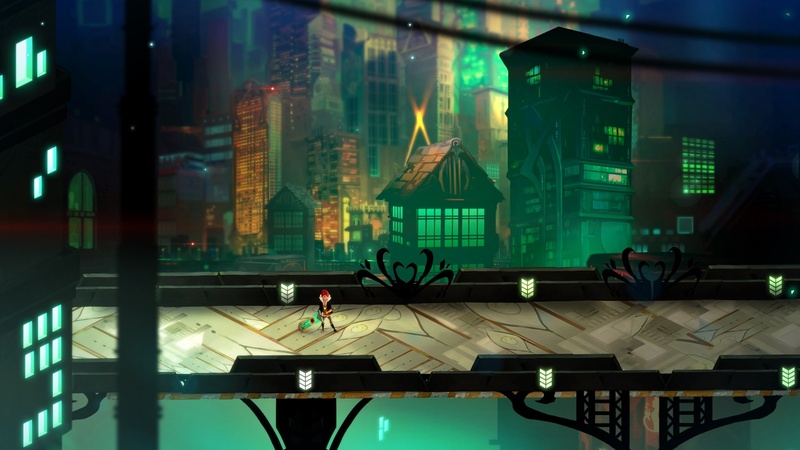 Some good examples are the games Bastion and Transistor by Supergiant Games. So having tools to learn these techniques really helps boost skills in all areas of digital art, and maybe some traditional skills as well! Ctrl+Paint is the first resource in this list because it's one of the most conclusive FREE resources I've been lucky enough to run across. There are demonstrations, tutorials, and free resources for people who are just getting started or want to kickstart their skills in specific areas. They provide a few additional premium resources for pretty affordable prices as well! The Concept Art section of CG Cookie is a HUGE resource for digital painting concepts, and it's just one branch of the CGCookie.com website which includes resources for 3D, Sculpture, and Games as well! For only $18/mo users have access to every article, resource, and forum on the website. There is also a ton of great free articles which have a small label to point you in the right direction. In fact, here's a link to their entire 2D Digital Art Basics - Introduction for Beginners course which helps with setting up digital art software and preparing yourself to become an expert digital artist. One of the best ways to learn how to do amazing art is by watching professionals work. The process is 99% more important than the end result because every step changes how that final result will look. Feng Zhu provides a ton of "Design Cinema" videos on the FZDSCHOOL YouTube which go over pretty much every concept you can think of. Character and creature design, landscape painting, hard surface props, value and composition, and industrial design are all included in the over 80 video demonstrations. Feng Zhu also does a lot of Q&A for prospective artists about stuff like what should go into a portfolio and how to use references and textures legally. There is a lot of good information here! So keep an eye out! Look up the artists from some of your favorite games and you might find out they've posted some awesome information, too! Also, remember that everyone creates art differently, so never stick to just one method. Experimentation is key.